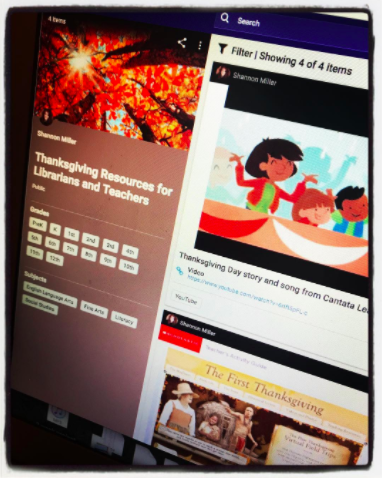 The Library Voice: November Library, Learning and Literacy Celebrations! 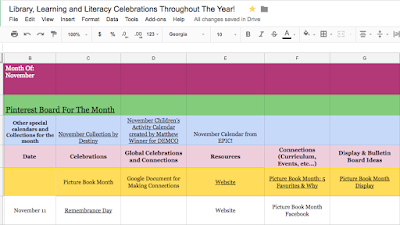 November Library, Learning and Literacy Celebrations! 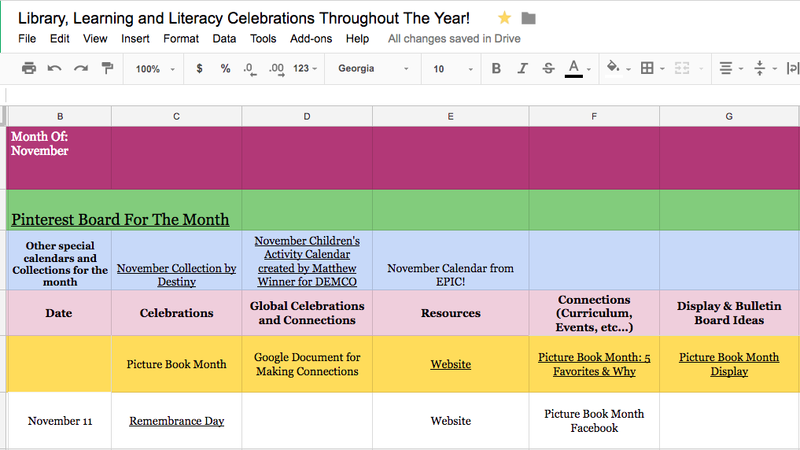 As we kick off November, I wanted to share Library, Learning and Literacy Celebrations Throughout The Year with you. 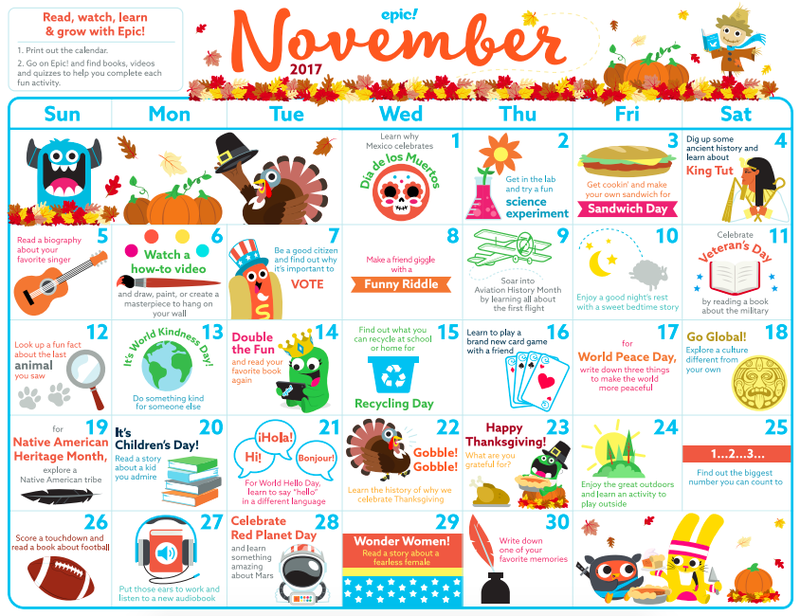 There are several very special things going on in November including Picture Book Month, Thanksgiving and Veteran's Day to name a few. the November Children's Activity Calendar created by Matthew Winner for DEMCO and the EPIC Books November Calendar. On Friday for Shannon's Favorite Finds, I will be sharing the November Collection by Destiny too! Have a special November, friends. I can't wait to see what you and your students have planned.